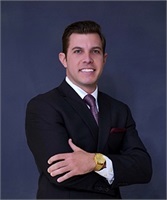 Ty has over a decade of experience working directly with his clients. He likes to think of himself as a fresh, new perspective on financial planning and forward-looking solutions to help the clients of CCWM reach their goals. Ty began his career at Ameriprise Financial in 2005 where he built his practice from scratch spending time in both San Antonio and Austin before settling in San Antonio permanently. He enjoys getting to know the clients of CCWM personally because he believes knowing who they are and what they value is key to helping them reach their financial and life goals. Ty graduated from Texas Tech University where he earned a Bachelors Degree in Business Management. Wanting to combine his quantitative ability with the desire to help people, he was drawn to financial planning. Ty is a CERTIFIED FINANCIAL PLANNER™ professional - exemplifying his commitment to the highest standards of integrity and professionalism in the industry. He is also a member of the Financial Planning Association, keeping him up-to-date with the ever changing financial world. Ty works with clients across the country and believes people today are seeking the best advice and financial planning relationship regardless of geography. Ty grew up in Lamesa, Texas a small farming community just south of Lubbock where the landscape is flat, the wind blows and people talk a little slower. He now resides in San Antonio, Texas. When hes not perfecting financial plans Ty enjoys golfing, fishing, Texas Tech football, going to his favorite Crossfit gym as well as exploring the Texas Hill Country and other places near and far, grabbing a cup of coffee, reading, and spending time with friends and family. View Ty's LinkedIn Profile .